I have spent thousands of hours over the last 10 years researching and writing the pioneer history of the Restoration Churches in Oregon, Washington, Idaho and Montana. My interest was first piqued by our friend and former colleague Bruce Oberst telling me about a community of Christians that no longer existed at Bethel, Oregon. Lois and I went to Bethel in Polk County and found things as Bruce has said. Further investigation located a book about Bethel and the research began in earnest. We have traveled over much of Oregon and Washington on the west side of the Cascades and selectively on the east side, too. We have been blessed with wonderful assistants like librarians, historical society researchers, ministers and aging historians in congregations. God has worked miracles of timing frequently to enable us to meet just the right person with the information that we needed. 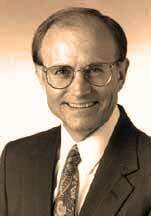 My guide and advisor has been master-storyteller Jerry Rushford of Pepperdine University. He has pointed me to resources, critiqued my material and supplied leads that I could use. Jerry has written the popular Christians on the Oregon Trail, now published by Covenant Publishing. Where other families go on vacation trips, Lois and I go on research trips. There is more excitement there than watching a fish jump up a fish ladder. Lois does an amazing job of ferreting out facts from unusual places in libraries and museums. The Disciples of Christ Historical Society in Nashville has been very generous in supplying data, even shipping microfilms of the Christian Standard prior to 1900. It took several months to read them. Our work is published on the Internet as it develops. On those rare cases where we print a copy from the ‘net, it takes in excess of 500 sheets of paper and two notebooks. The menu page is on this link. The story is expanded nearly every week. We are averaging about 2,000 "hits" each 24-hours all year. Sometimes the traffic rises to above 400 hits per hour. The site includes a 20 minute audio presentation of the New Testament Church.